Melbourne (United States) (AFP) - Six lean greyhounds in racing colors sprint wildly around a parched track in sun-baked central Florida. The grandstand at the Melbourne Greyhound Park can hold 2,000 people, but on this day, there are barely a dozen. "This is a little anti-climactic," admits John Niebler, the Melbourne park's operations director, motioning to the nearly deserted stands. It is no secret that greyhound racing is a dying pastime in this southeastern state. In the 1990s, Niebler said, a single race could take in $500,000 in bets. Today, that figure might be closer to $15. The races survive thanks to a 1931 law that legalized betting on dog and horse races. Under subsequent legislation, passed since the 1980s, all the original dog tracks must continue to offer live racing if they wish to operate other, often more popular, forms of gambling. "Doesn't make much sense, does it?" asked Christine Dorchak, president of GREY2K USA Worldwide, which calls itself the world's largest greyhound protection organization. Animal advocates consider the races cruel. "If you're looking for logic," she added, "you're not going to find it in the racing law." 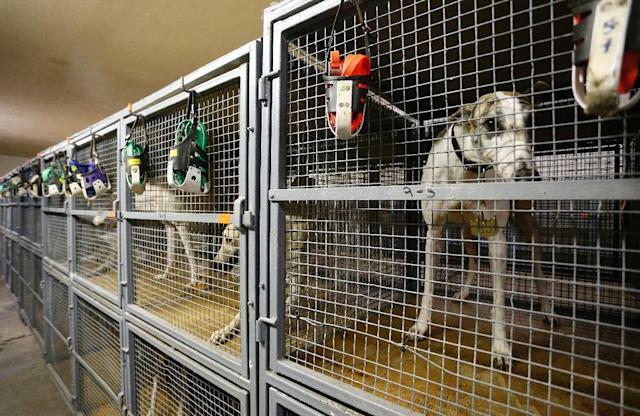 The Florida Greyhound Association (FGA), representing kennel operators, has so far managed to defend a law that is loved neither by animal lovers nor by some casinos, which must sustain the costly and controversial races if they want to keep their doors open. Florida's law does make sense, however, to kennel operators. Their winning greyhounds earn four to five percent of overall casino proceeds, even if no one sees them win, said FGA spokesman Jack Cory. But Dorchak, a lifetime animal lover who owns a greyhound, said the practice is cruel. "Thousands and thousands of dogs are basically being held hostage," she said. This week, Florida lawmakers approved a proposed constitutional amendment that, if passed, would phase out greyhound racing by 2020. It will be put to a referendum in November. The FGA vowed to go to court to block the measure. Inside the Melbourne casino, clients play poker, try their luck at slot machines or bet on greyhound races broadcast on TV screens. But very few take the trouble to step outside to watch the real dogs tear around the track. "It's just fun," said 74-year-old Joanne Garrison, one of the few spectators in the nearly deserted grandstand. "It's a good way to spend an afternoon," said Garrison, who was planning to stay for eight races. But for each dog, the action is fleeting. 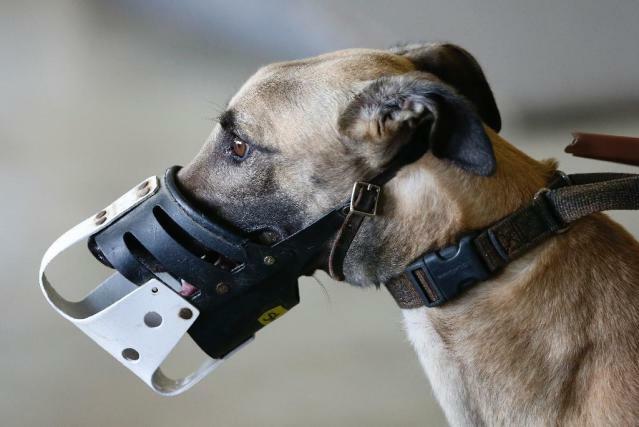 The greyhounds, chomping excitedly at the bit when suited up to run, sprint around the track for 30 seconds -- then must return to their cages to wait two or three days for their next 30-second race. GREY2K says many animals have suffered from overdoses of stimulants. In one case last year, a dog died in the middle of a race. A cocaine derivative was later found in its blood. And the fleet animals can sustain grave injuries when they collide at speeds of up to 40 miles (70 kilometers) an hour. But Cory rejects the accusations of abuse, saying the kennel operators' livelihood depends on keeping their dogs healthy enough to win races. "The owner," Cory told AFP, "will not receive any money if his animals are not cared for, well fed, well exercised and well medicated." The Melbourne park is one of 12 greyhound racing tracks in Florida and one of 150 in the world. There are six tracks in other states, but 40 states have banned dog racing. 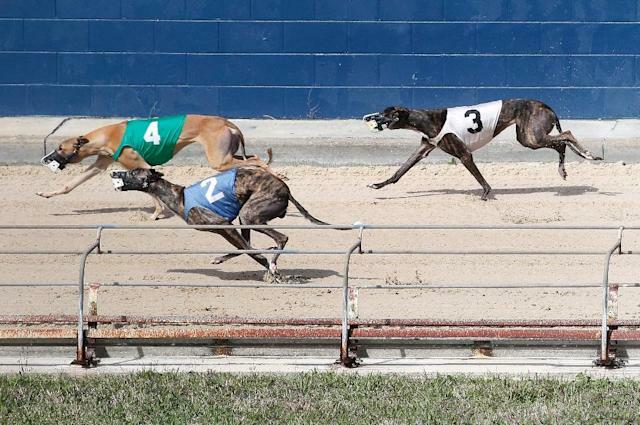 For Florida, dog racing is a losing proposition, according to a 2013 report by the Spectrum Gaming Group, a consultancy specializing in legal gambling. It calculated that Florida loses $3.3 million a year from the dog races, since the cost of regulating them exceeds the revenues they produce. "People don't come out like they used to, despite our efforts," Melbourne park manager Jim O'Brien acknowledged to AFP. "We do all we can, but the consumers have lost interest." It costs the Melbourne casino $200,000 a year to keep the races going. But that allows it to continue offering other games of chance that generate profits of $7.8 million. That's why O'Brien favors a so-called "decoupling" move that would allow casinos to offer other forms of gambling without having to stage live competitions. Until November's vote on the referendum, O'Brien said: "Whether we have 10 or 10,000 people in the grandstand, we will put on a good show."